There are so many technical terms when it comes to concrete, which makes it hard to make your design decision! 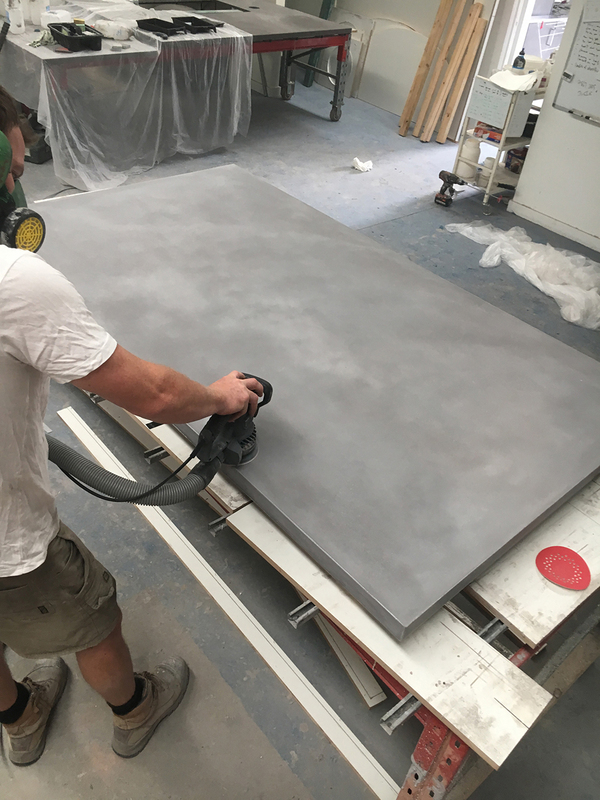 One of the main differences between these types of concrete applications is the fact that GFRC concrete is created in a factory, meaning all the mess, dust, formwork and pouring of the concrete is done off site – no mess, no fuss! And one of the most obvious differences is that GFRC concrete has Fibreglass Fibres throughout, giving it added strength and minimising future cracking. It also means GFRC can be manufactured with a 10mm starting thickness! So, if you have a weight restriction – your house is on stumps, its upstairs, or on a deck, there’s no problem with GFRC concrete. With GFRC Concrete it can be created as BIG as 5400mm X 1200mm – in ONE piece with no join lines, delivered and installed! Discover which concrete is best suited to your project by speaking to experienced concrete artisans before you get started!